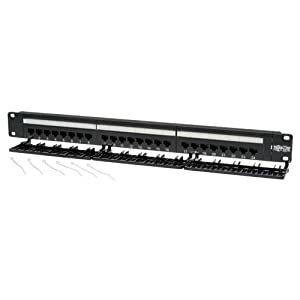 This category 6 interconnect panel is designed for high density installations. It complies with ANSI / TIA / EIA-568 C.2 standards, allows connections with 22 to 26 gauge conductors according to the American scale (AWG), and includes phosphor bronze contacts. All of our connection panels are made for direct installation in 19 “racks and are offered in 24, and 48 port configurations with integrated anchor points to improve wiring organization and security. The assignment of colors to the ports allows the universal interconnection of the cables. A Type 110 termination ensures a secure and reliable connection to maximize performance. It has UL certification (Underwriters Laboratories). 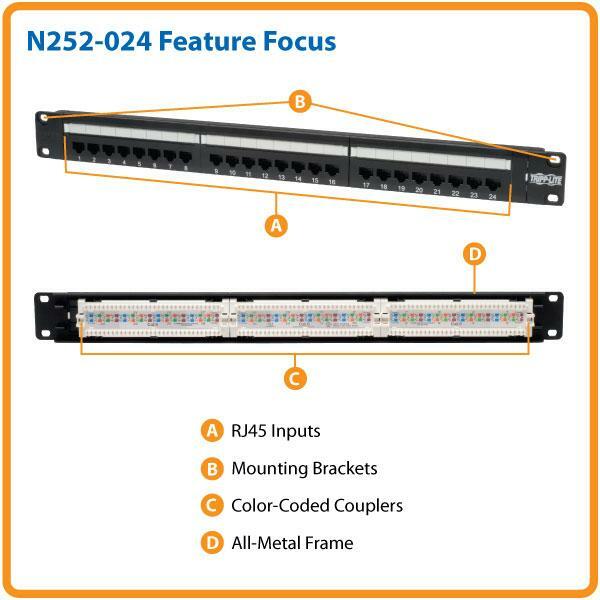 The N252-024 enables quick and easy cable patching by plugging Cat6 patch cables into any of its 24 RJ45 ports. 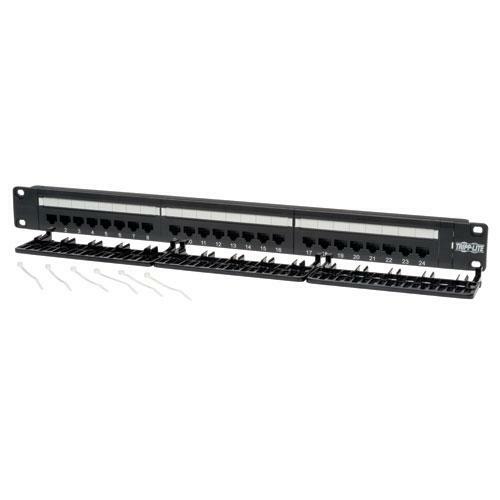 With a convenient 1U, 19-inch form factor and a durable, all-metal frame, the N252-024 comes with 110-type punchdown termination and color-coded couplers for both EIA/TIA 568A and 568B installations. 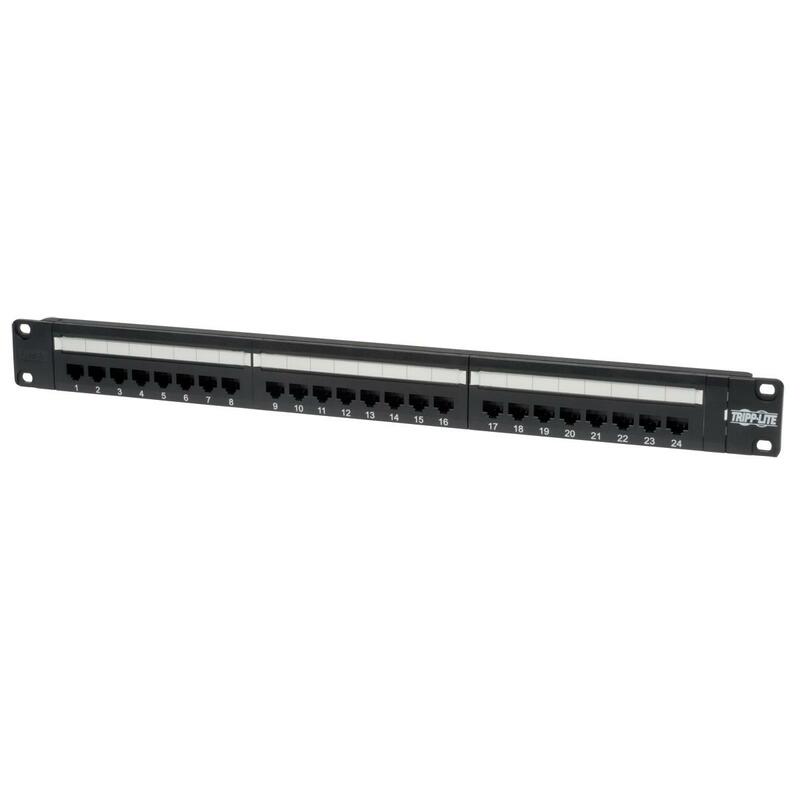 Clear numbering on the front and back of each panel allows for easy identification of cable runs. For peace of mind, the N252-024 comes with a lifetime warranty and RoHS-compliant design. 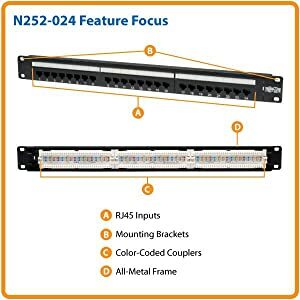 With 24 conveniently labeled, color-coded RJ45 ports, a low-profile form factor and 110-type punchdown termination, the N252-024 makes patching cables in high-density IT environments simple. The N252-024 ships fully assembled for quick and easy installation. 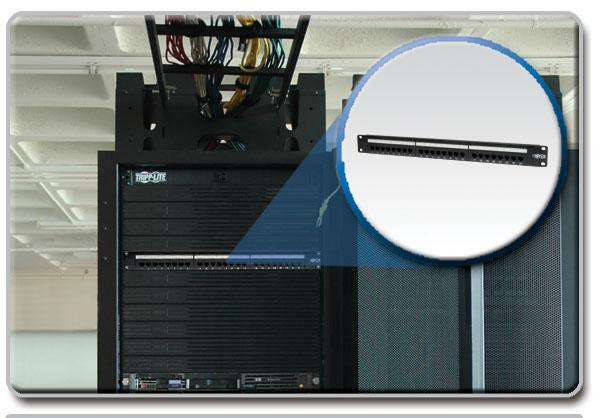 Included mounting hardware supports 1U installation in standard 19-inch rack enclosures. All of the N252-024’s ports are clearly numbered on both the front and back so IT managers can easily identify cable runs. For additional reference, blank labels on the front allow ports to be custom categorized. Constructed of top-quality materials and a durable, all-metal frame, the N252-024 is built to last. 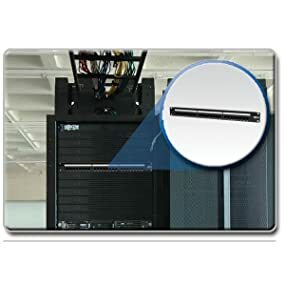 It also exceeds EIA/TIA TSB-40 standards for connecting Cat6 hardware, ensuring compliance with future services and industry standards.